Between you and Jenny at Jenny’s Books, I’m now desperately craving some Sayers! 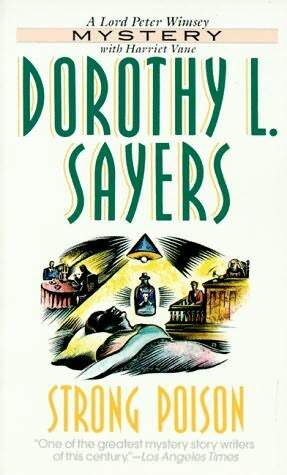 I’ve never read any Sayers, but I think I should! And you reminded me that Lymond has been absent from my life, I need to go back and finish that book! Even though my first encounter with Sayers was rather disastrous, your reviews are making me want to give her a second chance. I believe I have a copy of Strong Poison, so hopefully starting at the beginning will allow me to better appreciate the Lord Whimsey & Harriet relationship. It was probably not the best idea to just dive right in with Gaudy Night! 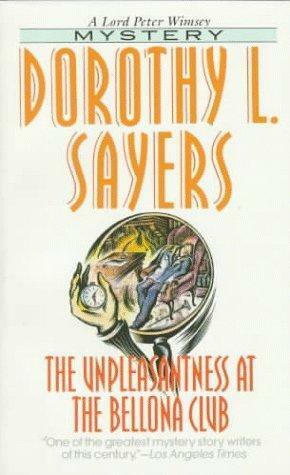 » ELSEWHERE ON THE WEB, by Mike Tooney: DOROTHY L. SAYERS – The Unpleasantness at the Bellona Club.